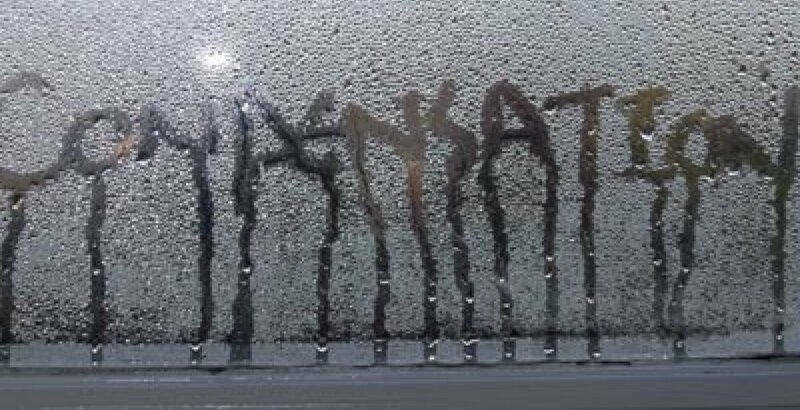 Wet weather and variable temperature creates a unique winter problem; condensation. It can be incredibly hazardous. Who hasn’t seen a fogged up car with the driver unable to see? It is also incredibly frustrating, delaying the start to countless journeys whilst the car warms enough to clear the glass or it is wiped down enough to see all around. However, condensation is easily reduced. The first step is to reduce the moisture that enters the car. Take off damp coats, fold the wet sides together and leave them in the boot with hats and gloves. When you warm the interior the moisture that evapourates from your clothing is reduced. Damp mats are difficult to avoid, but are easily brought inside for a few hours to dry out. Condensation removing cloths can also be left to dry inside to prevent the removed moisture evapourating right back onto the glass. The second step, obviously when not raining, is to air your car. When warm air cools, it cannot hold as much water vapour. So, as the warm air of your interior cools between journeys, this water forms droplets on the glass. If you can air the car as you drive with the windows down a little or sunroof vented, warm damp air leaves the car to be replaced by cooler dryer air. Alternatively, leave a few doors open for a short time before locking the car to help release the warm air. It may sound obvious to say, but don’t have your car on recirculate. Allow fresh air to flow into your car. The third step is to have clean interior glass so water droplets form less readily. Invest in a cloth designed for glass: non-linting and with a short weave. Fluffy is not the way to go! Use a designated glass cleaner containing Isopropyl Alcohol. Fold the cloth in 4 and lightly mist one side with cleaner and keep the other side dry for buffing. Work one window at a time and split the windscreen in two. These simple steps can help you see better and save time this winter.